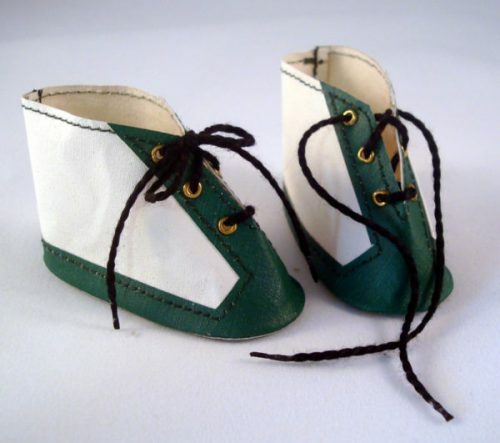 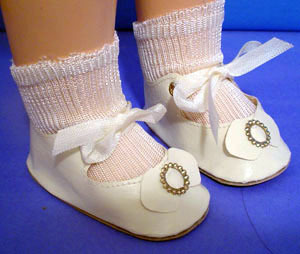 Side Snap Baby Doll Shoes – These darling side snap baby shoes are made of vinyl and are available in two sizes. 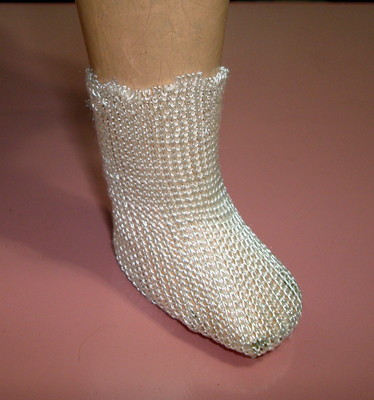 I only have a limited number of these. 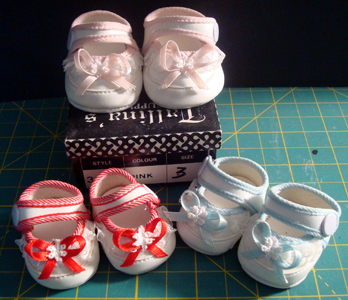 Sole sizes are listed below. 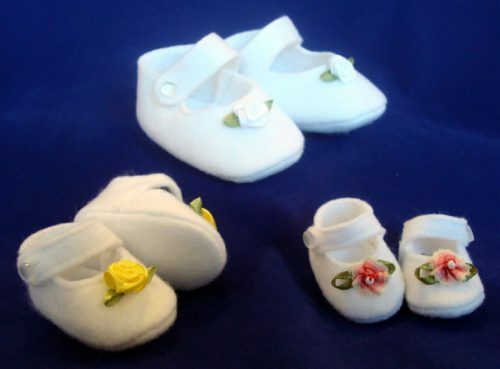 Measure your babies foot with socks on and choose a shoe that is a little larger.